Checking out the trail here. Seeing that the winter weight had begun creeping on before it was officially winter I decided that when the holidays rolled around that I would halt the creep instead of adding to it. I usually run whenever I come home (Indiana) but that’s generally during the summer. This year I caught a break on a ticket, and headed home for Christmas. Snow was on the ground and there was NO WAY any running would be done outside so what’s a girl to do when she can’t go outside? Head to the gym. 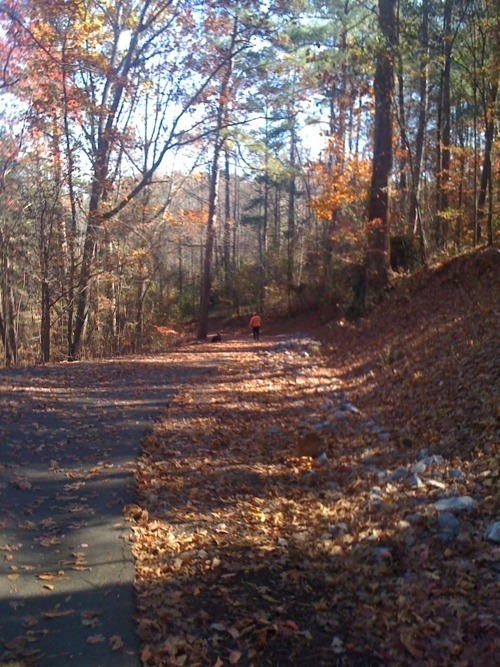 I’m no stranger to the gym, it’s just that when it is warm out I’d rather be in the great outdoors which is much easier to do for a longer stretch of the year in the south. Since I’m no longer winter hearty, I take it inside when it’s cold. 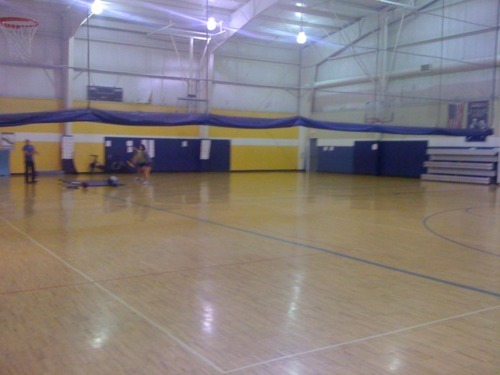 In years past during visits home in the winter I frequented another gym near my mothers home. This year was a different story. I was seeking a more modern facility in which I felt more comfortable. 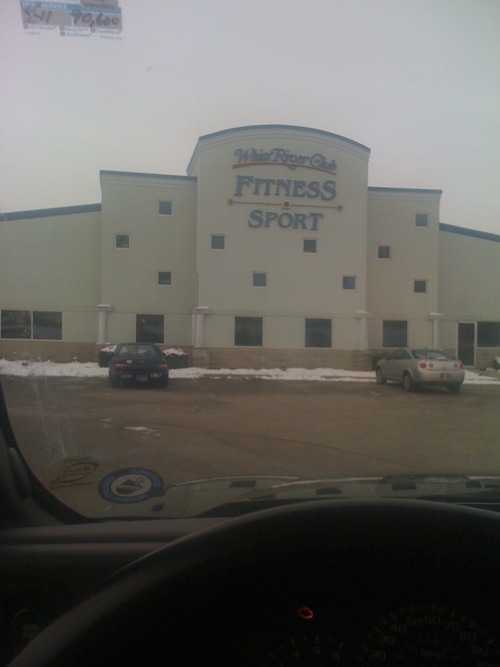 After asking around and making a few calls I landed at White River Club. An older gentlemen at the front desk answered all my questions, sold me a weekly pass and had someone show me around the club. 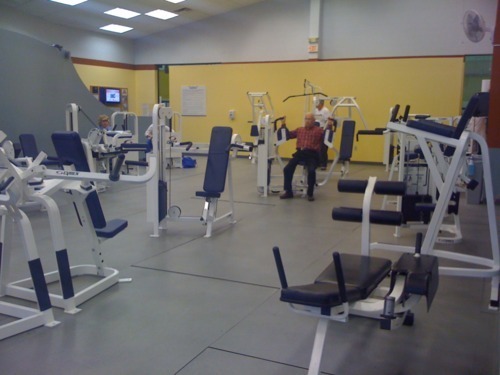 During the tour, I saw a water aerobics class in session with seniors enjoying the class, several personal trainers with clients, staff checking the common areas and people getting their fitness on. All of the equipment was clean and in working order. Not one “out of order” sign was posted and all of the staff and patrons were friendly which was considerably different from what I’d experienced at the other club I USED to visit. White River has a full slate of classes daily with something for every age and fitness level and their prices are definitely reasonable. The club is also GREEN. 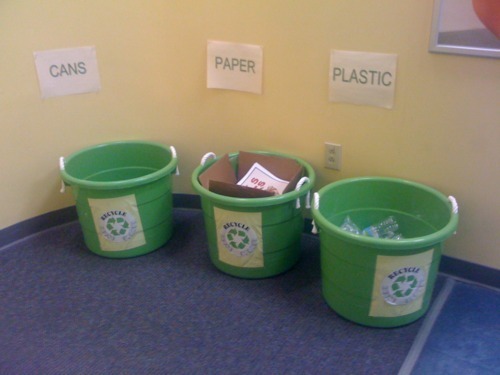 The two national chain health clubs that I frequent in Atlanta don’t recycle, White River does. If you’re in town to visit or if you’re a resident I highly recommend White River Club. 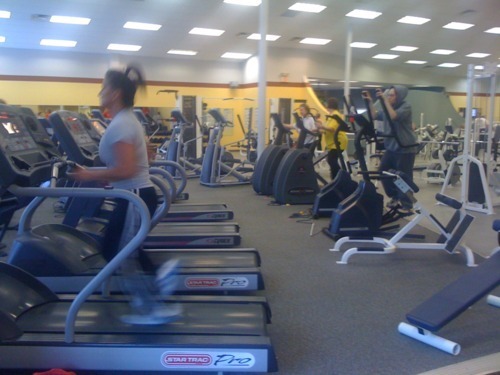 It’s one thing to have a full slate of classes and state of the art equipment, but without that customer service component, going to the gym can be a drag. White River Club’s service and friendly environment take them over the top. Ever on the lookout for a new spot to run and in need of some extra motivation I found myself one particular Saturday at McDaniel Farm Park in Duluth, GA. This little heaven of a park is nestled amongst the chaos of Gwinnett Place Mall, a multitude of car dealerships, strip malls, restaurants and ongoing construction on Pleasant Hill Rd. Upon hitting the trail I met a nice couple who showed me the ropes of the trail and I took off (well not really as I’m more of a tortoise than a hare). 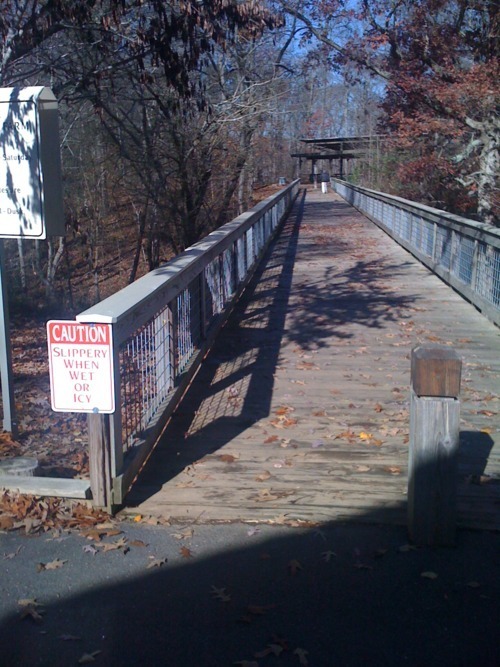 The particular route I was on has short inclines and dips, a nice mixture of shaded and unshaded areas and pedestrian bridges. Some of the curves are sharp but not sharp enough to hurt yourself. 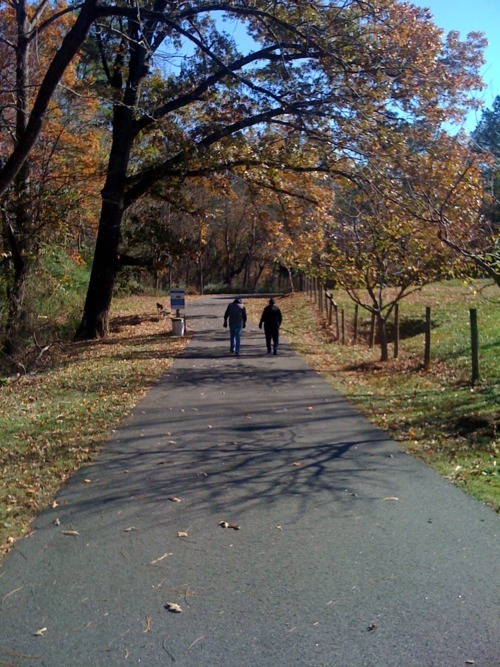 All paved trails combined are approximately 3 miles and it seems as though there are limitless combinations that you can choose from and improvise along the way with the help of posted hard maps. 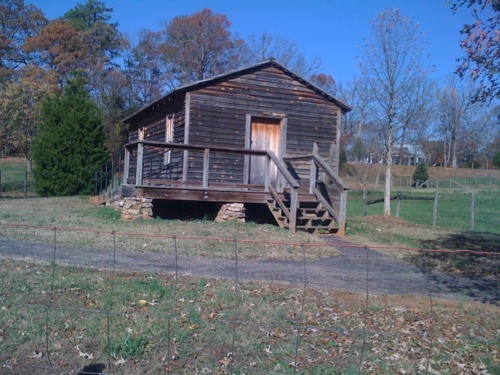 The main features for the tourists and history buffs are the farm buildings near the front entrance of the park. 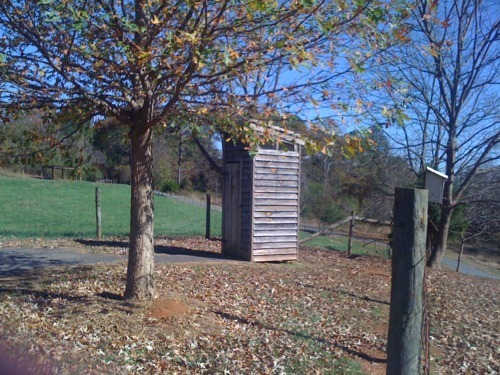 This area has been restored to resemble a 1930s subsistence farm (cotton) in Georgia. During the spring through fall these buildings are open for tours and there are special events throughout the year. There are also covered pavillions for large groups available by reservation. McDaniel Farm Park has a little something for everyone and is at least for me, a bit of peace in the midst of this part of Gwinnett’s madness. 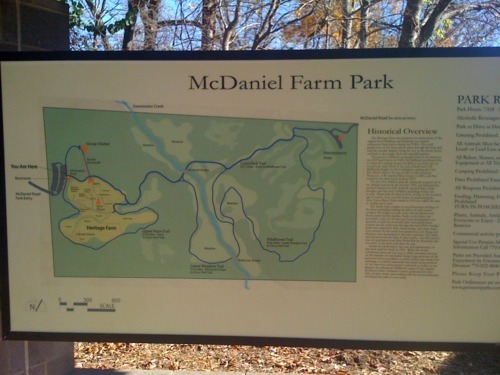 For more information on McDaniel Farm Park and other parks in Gwinnett County please see the county website.